Cleveland Touchdown Club Charities is celebrating yet another year of dedication and commitment to the youth of Greater Cleveland this year. Along with our rich history, we have become a viable and recognizable active civic sports organization on both the local and national level. This year we have once again named our biggest fundraiser, our annual charity golf outing, after Browns Hall of Famer Gene Hickerson. Gene had a reputation for giving back to the people in this area long after his career as a player was over, and we are honored to have been able to call him a friend of CTCC. We are excited to have you join us in supporting our mission, whether via a corporate sponsorship or enjoying a day of golf with us. We thank you for your commitment! 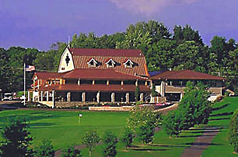 The Golf Package cost is $125.00 per person. 1) Mail it in to the address listed at the bottom of the page with a check made out to "Cleveland Touchdown Club Charities". 2) Email the form to ctcc1938@gmail.com and submit your payment online via the PayPal link below. A registration form with team captain and player names must be received prior to the outing. Without our sponsors, Cleveland Touchdown Club Charities would not be able to ensure our commitment to the youth in our communities. It is because of you that we are able to continue our efforts through recognition, volunteerism and provision of financial support to those in need to give “youth a sporting chance”. If you would like to be a sponsor for the 2019 Gene Hickerson Golf Outing please download our Sponsorship Form. We appreciate your ongoing dedication to supporting Cleveland Touchdown Club Charities in our commitment to the youth in our communities. Presenting Sponsor ($5,000): Company name/logo on primary golf gift item. Company name/logo on all signage and website materials. Company name on first hole. Two foursomes with a Cleveland Browns Alumni. Ace Sponsor ($3,000): Company name/logo on secondary golf gift item. Company name/logo on all signage and website materials. Company name on one hole. Two foursomes with a Cleveland Browns Alumni. Birdie Sponsor ($500): Company name on one hole. Company logo on all signage. Two golfers in outing. As a part of the outing we are once again selling 500 Ball Drop Raffle Tickets. 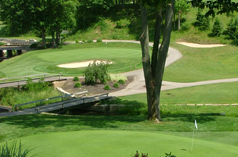 All proceeds fund the college scholarships we give away at the outing. The winner of the raffle takes home $1,000. If you're interested in purchasing a ball drop ticket, please use our PayPal link here.